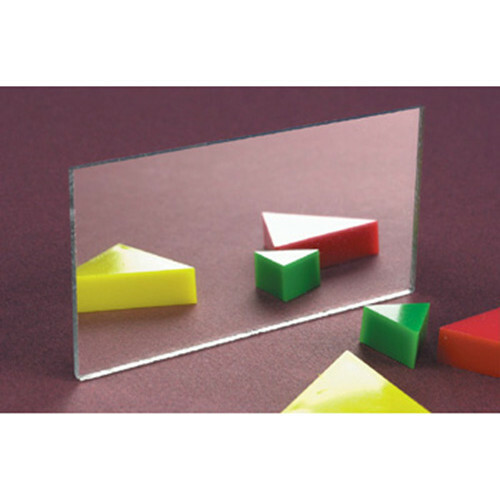 HIPS Silver Mirror Sheet is a high quality sheet material that offers an excellent price performance balance. High impact polystyrene (HIPS) is easy to machine and fabricate, and combines good colouration and mechanical properties. More suited for application where child / animal safety in the key factor as HIPS does not shatter and is extremely hard to damage. With impact strength up to 7 times that of normal polystyrene, HIPS sheet is used most commonly for packaging and thermoforming. HIPS has excellent dimensional stability and can be easily painted and glued. With a wide temperature window and with pre-drying rarely required, the material is one of the easiest sheets to thermoform or vacform.